If you are looking to buy a reconditioned or refurbished vacuum cleaner there a number of points that you need to look out for. You are looking for a vacuum cleaner that performs well, and that does not leak dust or allergens. If you have pets, you will need a reconditioned or used vacuum cleaner that can pick up hair and dander. You also must consider what type of floor your vacuum cleaner will be used on, and finally, consider what will constitute an acceptable level of noise from your new appliance. Buying a refurbished or rebuilt vacuum cleaner means that you will have access to models that you would not normally be able to afford and these may have superior cleaning capabilities. However, there are a variety of pitfalls you can fall prey to if you do not take advice. 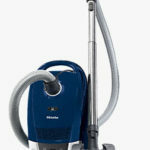 Following are the excellent tips for purchasing a refurbished vacuum cleaner in a private sale or as an online purchase. How do you buy a good vacuum cleaner? Consider whether you want to buy one that you can see and test as opposed to one that is only described online. 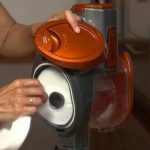 If you are buying online, the chances are that the vacuum cleaner will be described as reconditioned but in practice what this means may vary. Has it been reconditioned by someone adequately qualified or has it simply been cleaned? If you can find a factory reconditioned vacuum cleaner, this is probably your best purchase. If you are buying a rebuilt or refurbished vacuum cleaner in person through a private sale there are a number of points to look out for. Visual checks. Does it look cared for or battered? If it’s battered it has probably never received any love. Look for rust. Check the wire and the plug. Does it look safe? Is there a manual to go with it? Suction. Check the suction against your hand or a spill on the carpet. How does it smell? Once the vacuum cleaner is running, does it smell? If it does it may be full of bacteria, pests or allergens that you will transfer to your home. If it smells mouldy or it looks like it has mildew walk away. Similarly if it smells of pets or burning you should not buy it. How does it sound? Does it sound normal? Does the motor sound tired? Are there loose bearings somewhere? Is it too noisy for you? Accessories. Do you need a pet hair remover tool and if so does it have one? Is there a crevice tool or any upholstery attachments? Are the accessories in good condition and all present? How are they stored? Onboard or separately? 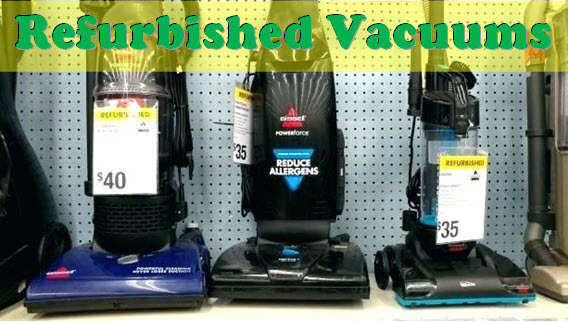 Consider what sort of used or refurbished vacuum cleaner you would prefer. Would you prefer a bagged or bagless vacuum cleaner? How much should it weigh and how easy should it be to maneuver? Would you prefer a small or a large nozzle? Consider that upright vacuum cleaners are better for carpet and canister vacuums are preferable for hard flooring and low pile carpets. A handheld vacuum cleaner is really only suitable for spills and small areas such as cars or stairs. Look up vacuum cleaners online and read the product reviews. Pay particular attention to the reviews of previous customers. Do a price comparison between different makes and models and then consider how much you would be prepared to pay for your favourite model if it was a year old, or two years old or older than this. Finally, have a quick search to see whether spares, accessories, and dustbags are still widely available. The final points to look out for when buying a used or recondition vacuum cleaner are in regard to a warranty. If you are buying a reconditioned vacuum cleaner online then you stand a better chance of getting a warranty to go with it than you do if you buy it in a private purchase. A limited warranty may give you protection for 90 days, or you may be able to find a supplier who offers a year’s warranty which is well worth considering. If you buy a refurbished vacuum cleaner at a car boot or a jumble sale or through a private purchase then the chances are that you have no comeback if anything goes wrong. Again, a factory reconditioned vacuum cleaner may well be the perfect solution for you. Well, I hope that this article will give you a better idea on how to buy a refurbished vacuum. Please note that some of the reconditioned units can be very new and it’s comparable to the new vacuum. 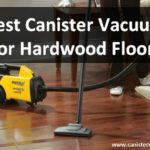 If you are still not confident, then you can get a new vacuum and this site provides you with reliable recommendations (for different floor types).